Amazing photograph by Jose Villa, found here. Maybe its Miami coming up, but yesterday while visiting with Nick's parents we all talked about how cool it would be to visit Cuba. Since the Obama Administration has made it a bit easier to travel there, perhaps this travel fantasy could someday become a travel reality! Via pinterest I discovered Jose Villa and Michael Eastman, photographers that have captured Cuba in a way that widened my eyes and intrigued the heck out of me! Check out Jose Villa's beautiful work here and here. See Michael Eastman's haunting images here and here. I'm not a fan of packaged vacations, but this actually sounds really fun (despite being really expensive, remember I said travel fantasy). Do you have any travel fantasies? I have about a MILLION! It has been too long since I have chatted with you / checked in with your beautiful blog. I so enjoyed your Cuba post (and have had this intriguing country on the mind since I have some friends visiting there in a few weeks - much easier to get there from here!) The photos are gorgeous - it is like stepping back in time. The cars are my fav. Hope all is well and I want to do a phone-a-friend sometime soon. Something along the lines of "how do I decorate my already furnished apartment when my life fits in two suitcases and I live like a gypsy?!" So good to hear from you. I think about you and how you are doing all the time. 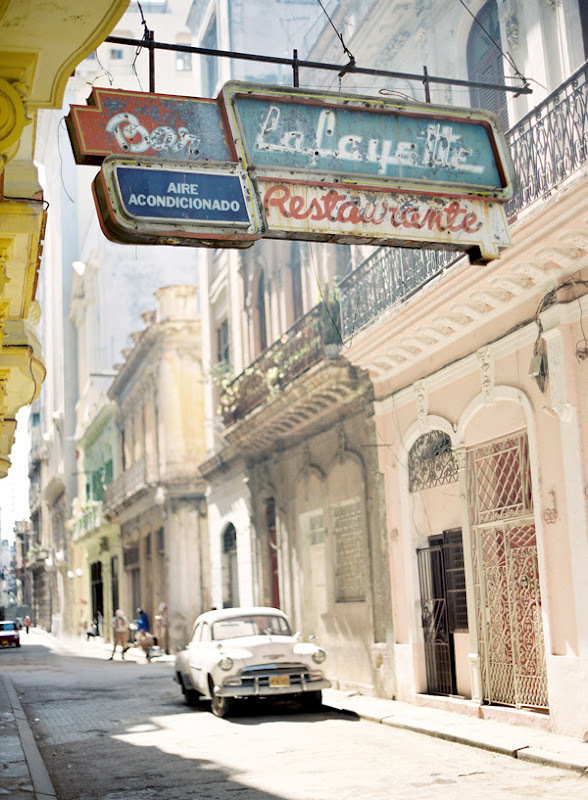 Let me know if you go to Cuba -- I would love to hear all about it! Yes, Phone us!! Though I know anywhere you live is beautiful. You have always had such great style and your bedroom in high school was 100% the coolest.